I would like to thank Fr. Walter and his committee for the organizing a wonderful fiesta in on honor of Our Lady of Columbia. Along with the bilingual celebration of Holy Mass in which many priests concelebrated, there altar was festoon with flowers and a beautiful image of our lady was decorated. Afterwards, the children and teenagers performed local dances from their homeland, and the parish center was turned into a spectacular hall for merriment. Along with the priests, sisters and deacons there countless people who came to celebrate. It was a wonderful way to celebrate our unity as Catholics, and diversity with different ethnic flavors. I am also remised for not thanking Leidl and the Filipino community who orchestrated a beautiful celebration in honor of their homeland in October, Unity Night. The local dances, food and camaraderie was exceptional. We are truly blessed to be part of a parish that has so many ethnic customs and devotions. Please mark on your calendar the Feast of Our Lady of Guadalupe. We will have the traveling image of our Lady in Church with rosary prayed for 5 nights prior to the feast. A special bi-lingual Mass and procession will be done on the feast itself. 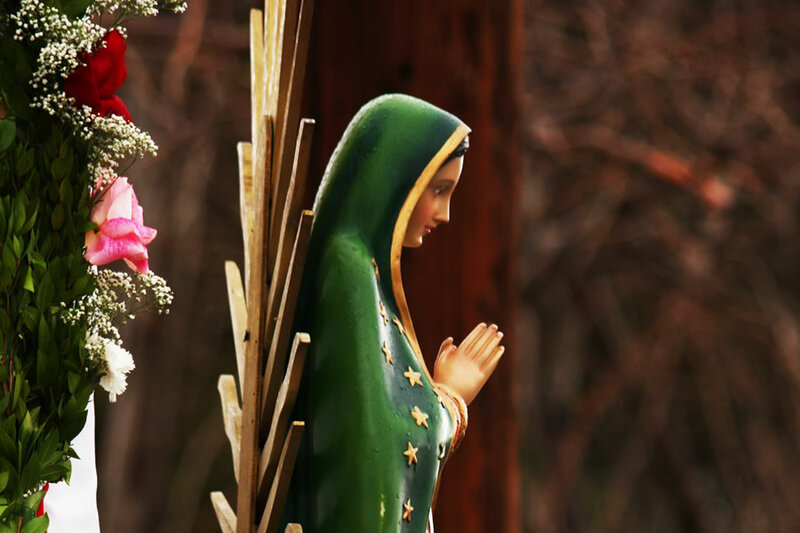 Our Holy Father, Pope Francis has proclaimed, Our Lady of Guadalupe, patroness of America (north, south and central). Make this part of your Advent devotion and come to special services and Masses.